I lived in Africa off and on for years before I had children. 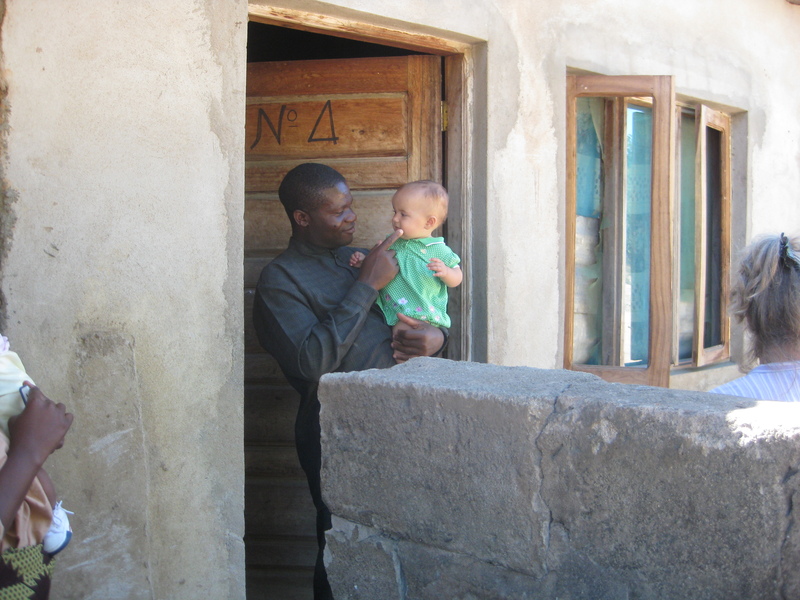 Then I returned with my husband and 9-month-old for a visit in 2010. My eyes were opened to things I wouldn’t have noticed before. Having kids does that – gives you new perspective. We visited Mozambican friends in their tiny, one-room abode. It was a simple cement room with a door and window – part of a row of rooms hosting students who lived full-time at a Bible school. They had a chair, a small corner table and a single bed. And an infant. The baby was charming. The family was joyful. They had clothes and sufficient food. They were lacking for nothing they needed. But, having just arrived from the Global North and having researched all the best baby stuff and baby-raising methods for our new adventure in parenting, one of my first thoughts was [gasp], “They obviously co-sleep with the baby! In a single bed!” I know the statistics, the research and the arguments from both sides of the aisle on the co-sleeping issue. And I also know that co-sleeping is the norm for most women in the world, since most women giving birth live either in poverty and can’t afford a separate bed or sleeping with mom is safer than being exposed to other elements, like the disease-carrying mosquitos outside mom’s mosquito net. (When you only have one net, it’s the best option). I came to the conclusion that, while I have a separate bed for my baby. . . Well, I have a separate bed, but sometimes the baby ends up in my bed for a bit. . . And the baby falls asleep for a bit. . . And I fall asleep for a bit. . . Okay, sometimes we co-sleep. . . But back to what I was saying. I really like having a separate bed for my baby and I’m blessed that I can look at the fifty options available and then pay cash for it. But what do I really need? For a healthy pregnancy and a healthy baby, I need to take my prenatal vitamins and eat a balanced diet. I need to have a periodic check-up with a qualified person – midwife, doctor, etc. I would like to deliver in safe, sanitary conditions with a qualified person present. And if we don’t make it to the hospital in time, an ambulance is a quick phone call away. I take every single one of those things for granted and barely give them a passing thought. I take my prenatals, eat my veggies and spend more time fretting about if/when/where I’m going to get a baby book before the baby is born. A good baby book is hard to find. If you’re a really good mom, you make a detailed scrapbook. Or you can make it online. Or special order one from Etsy. Decisions, decisions. Those decisions are such a luxury to even be pondering. As I await the arrival of this baby boy, I want to continually be conscious and grateful that I have everything I need. Most women on earth who will give birth this month don’t. . .
How we NEED things in the developed world. Great post! Thanks! After I posted that I realized we still haven’t bought diapers and wipes. Do I really NEED those? I suppose I do. Developed or undeveloped, I think that falls into the category of necessities. But not too many other things do. . . It seems like most of what we “need” is actually just convenience. I’ve told Anthony I don’t know how many times “oh we don’t need it – it just makes life a little easier.” I put to toys on the carseat because it keeps Jared quieter. Do I need them? No. Do they make life a bit easier? Absolutely. Definitely. I really appreciate all the wonderful things available to make baby-rearing easier. I loved my stash of 8 pacifiers in case we lost one:-) And when I think about the niceties and put them on my wish list, I just have to remember to not take the meeting of my NEEDS for granted.